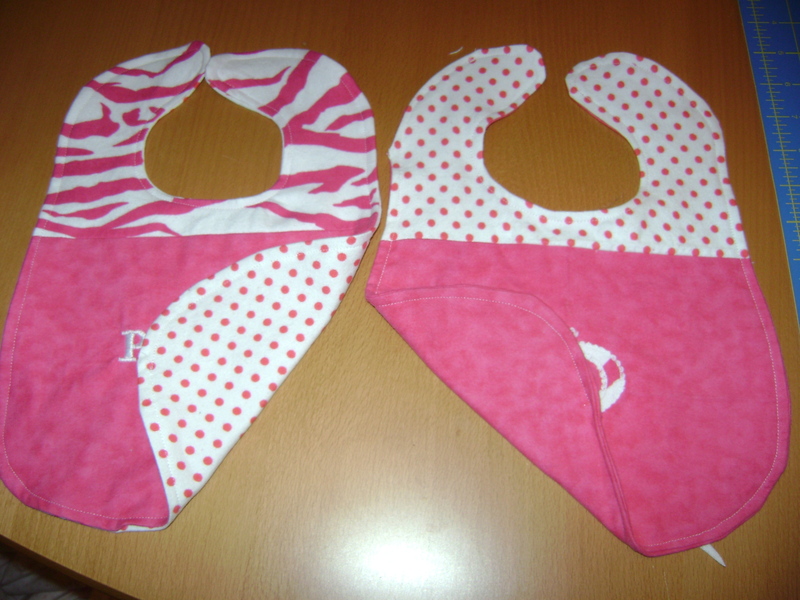 In continuing my baby gift mission, I decided to make a couple of boutique style bibs. One of the great things about baby gifts is there are so many free tutorials out there! I followed this tutorial from Craft Gossip. 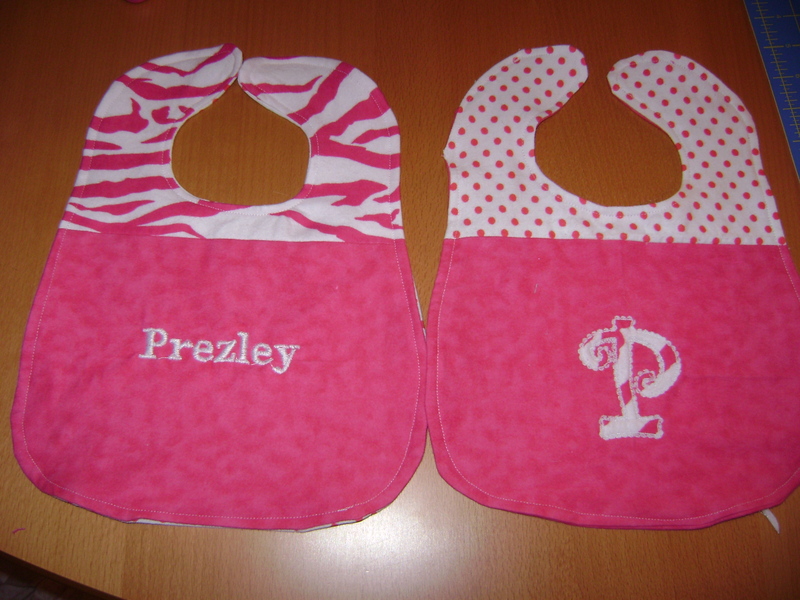 Again, I wanted to embroider the bibs as well, so I varied just a bit from the instructions. 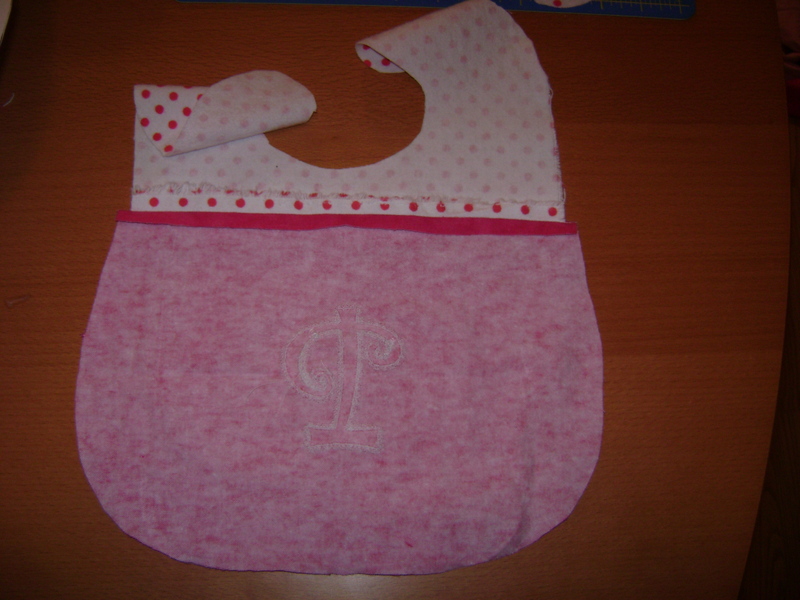 The first one I did I placed just the bottom of the front (the pink part) in the embroider machine. While that was going I put together both pieces of the front of the other and embroidered them after they were connected. The important thing is to embroider the bib front before you attach it to the bib back. 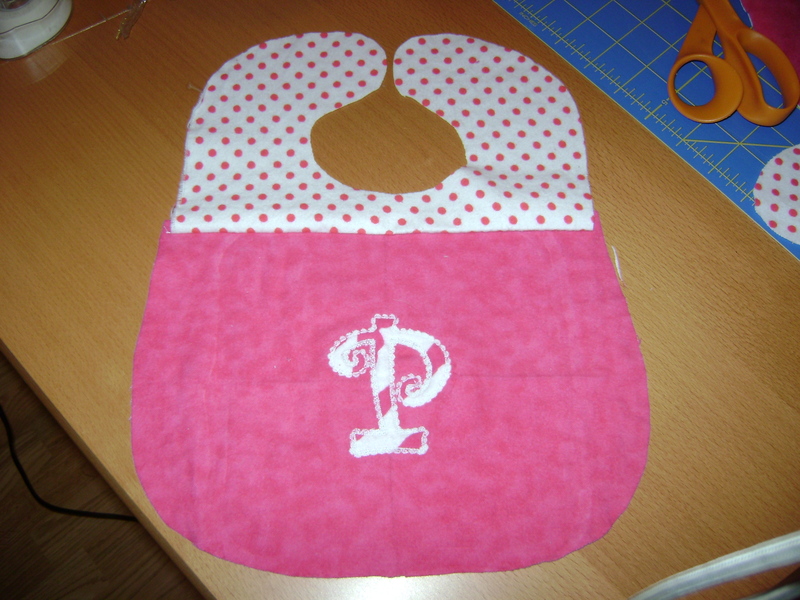 Once the bib front is complete, just sew following the instructions provided on the tutorial. I lined the backs of the bibs in coordinating fabrics. I decided against Velcro as my closure. I plan on adding snaps. I don’t like how Velcro snags things in the washer, and all I had was this weird flesh color anyway. Where did that even come from? We’ve got some great goodies going in the gift basket! I still have a couple more up my sleeve, so stay tuned! 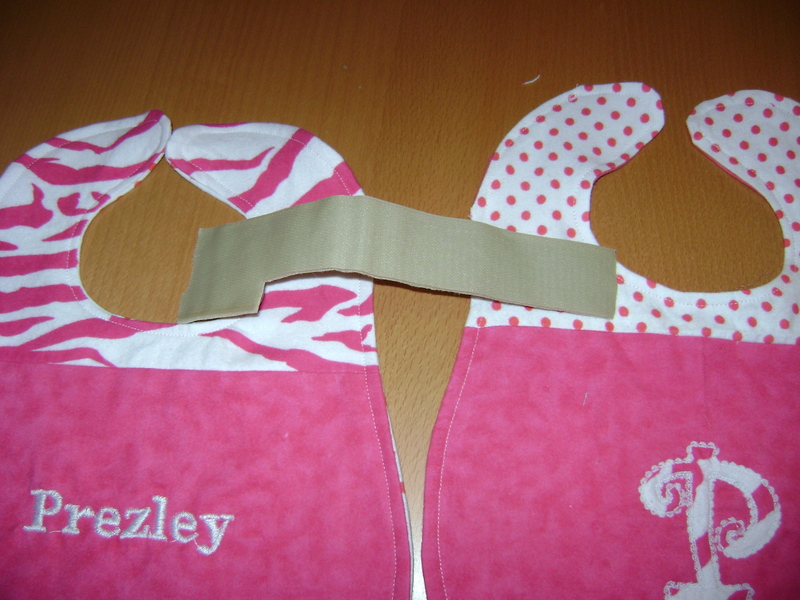 This entry was posted in Make for Baby, Project Tutorials, Serger FYI, Sewing FYI and tagged baby gifts on April 8, 2012 by staciethinks. Very cute what fabric did you use for the burp cloths? All the fabric was flannel on these baby projects. For the burp cloths I used cloth diapers. I bought a dozen for about $10 at Target. I like to keep them on hand for baby showers.